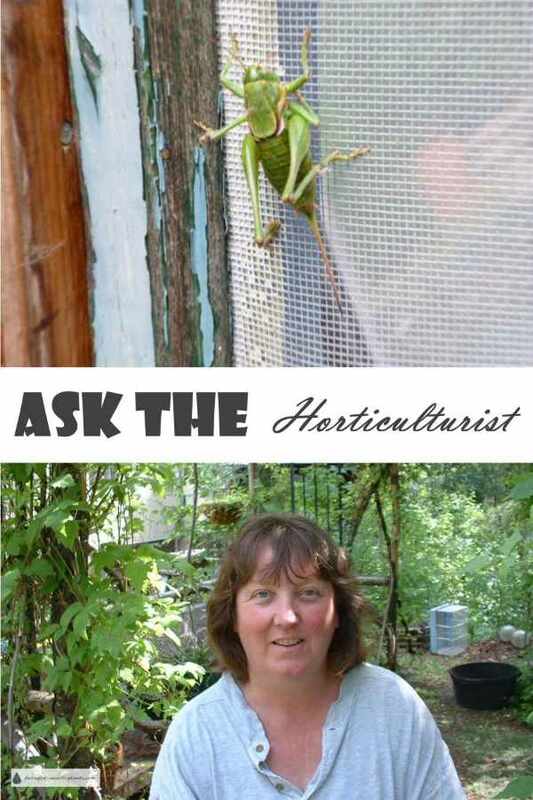 Ask the Horticulturist - go on, ask me your question about plants! Do You Have a Question About Plants? Ask Here! As a Certified Horticulturist and the owner of my own Sedum and Succulent Nursery, I have a lot of experience in growing plants, sometimes successfully, other times not so much. Just because I have training, and many years of running nurseries it doesn't mean that I know everything about plants. With a lot of failures under my belt, I'm eminently qualified to attempt to steer your horticultural endeavors in the right direction. Someone once told me, until you've killed off at least a couple of hundred plants, you'll never be a gardener. I must be a master gardener by now; the death toll is huge and growing. Luckily, even dead plants can still be useful; not only do they teach you how to deal with disappointment, they make good compost too. Part of successfully growing plants is learning from your mistakes, and believe me, I've made plenty. Yes, I am a Certified Horticulturist! How long will an Echeveria live? What's the best kind of fertilizer for my houseplants? The Horticulturist is in; use the handy dandy search box to try and find a similar question that I've already answered; I know there are a lot to scroll through! Please give me some background information, such as your planting zone (if you know it), your geographic location, and where you're growing your plant (indoors or outside). More detail is better than not enough, to help with diagnosing a problem so I can give you the most relevant answer to your horticultural question. Pictures are essential to give me a clue about what's going on with your plants. You can include up to four! Please don't ask me to identify your plant on this page, it's for questions about the care and growing of succulents. 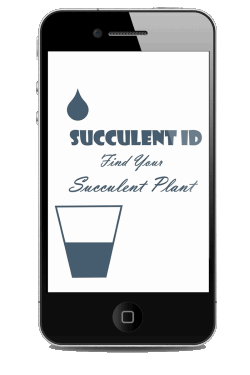 Go here to ask about identification for a small fee, or get the App! Do you have a question for the Horticulturist? To assist you the best I can with your plant problems, I need pictures - I'm good, but I'm not psychic! Click the button and find the first one on your computer. Select it and click on the button to choose it. Why does my avocado plant look like this? Is it okay to trim a succulent? where does cutleaf ground cherry come from? Do deer like it? The quest for the mysterious vanishing paintings. What is he holding in his hands ? I can't tell what these succulents are . My "bf" says it's male and female succulents but I don't think so . Definitely succulents tho . How much bags of fertilizer do I need? I have a 1000 sq ft garden. I got my soil samples back and it calls for 5-10-10 per 1000 sq ft. How many 40 lbs bags should I use? What soil do you use to grow succulents? I've seen lots of guidelines that say 'well drained' but what exactly is that? My baby succulents aren't growing but they look healthy! What is the correct size pot? Full winter sun but deep summer shade?! Is my palm tree dying? White marks with brown spots? White Specs/Crystals on Hens and Chicks - Wont go away - Aphids? This plant needs help but what is it and what care does it need? Older cactus was repotted and now seems to be dying. brown and splitting. It seems this succulent is reaching but it has just started this and I'm not sure it should be so tall. Bottom leaves have brown tips. Edith Bogue Letting me Down! What Can I do to Save This Plant? Can Succulents Recover if Roots are Waterlogged? My geraniums have huge amounts of foliage but don't want to bloom. How do I make them bloom? Is it too late in the season to feed my rhubarb plants? Is salt safe for succulents? What fungus grows on trees and which can be produced in agar nutrients? How do I draw and Illistrate the three Cutting types ? sad, leggy succulents begging for help!! Hi how to a make my succulents stronger, ive seen on the Internet the same succulents with strong wood types stems but mine aren't like that. 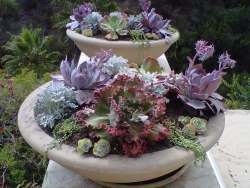 What's needed to grow succulents in clay soil? I have clay soil and I want a succulent garden in my front yard. What do I need to do to prepare the soil? Help! Dying because i dont know how to save ! Does a grafted branch produce the fruit of the tree it is grafted into? Long, smooth leaves. Plant is falling over and I'm scared it's going to break. Already moved it to a bigger pot. Flapjack plant about to bloom? How do you ship your succulents?